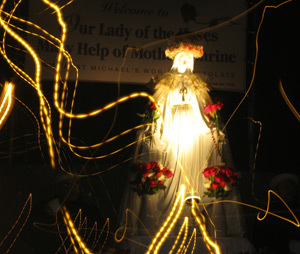 Welcome to Our Lady of the Roses, Mary Help of Mothers Shrine, staffed and directed by St Michael's World Apostolate (SMWA). 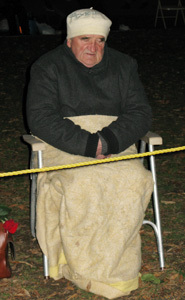 On Nov. 8, we made our annual visit to Veronica's grave during this month of the Holy Souls in Purgatory. 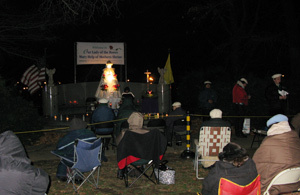 Peter Frank, Lay Order of St. Michael (LOSM), leading a decade of the rosary. 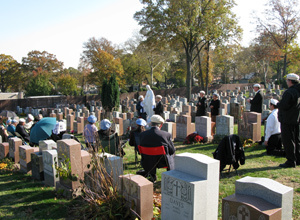 We especially remembered all the deceased Baysiders and those souls who rest in this cemetery. 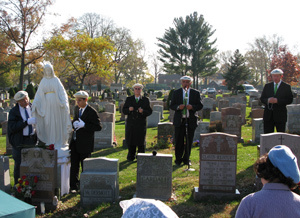 On Nov. 12, the LOSM traveled to the Immaculate Conception Seminary in Huntington, N.Y. to venerate the relic of St. Mary Magdalene. 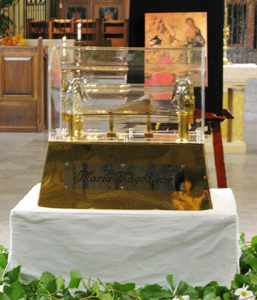 The reliquary containing the tibia (shinbone) of St. Mary Magdalene. 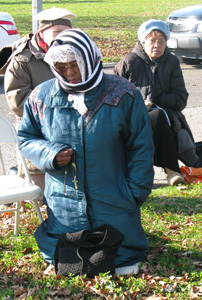 Our Lord said on Sept. 7, 1979, "Pray constantly in your homes. 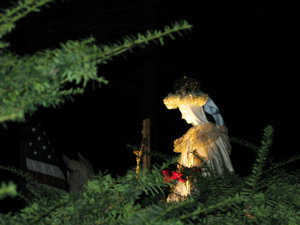 Do not abandon the statues and holy relics for modernistic sculpture and pagan artifacts." 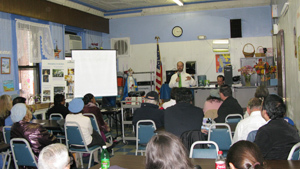 On Nov. 15, SMWA held a meeting where we discussed current events, latest news, Our Lady's Messages, etc. 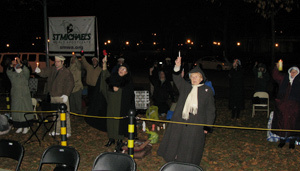 Here's some miraculous photos from this Vigil. 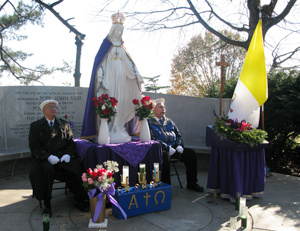 During the first Sunday in Advent, we placed a beautiful Advent wreath on the right side of Our Lady's statue. 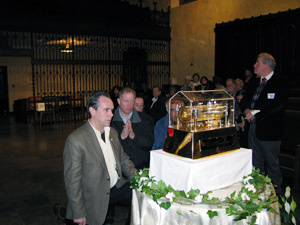 Michael Mangan, LOSM and SMWA President, prayed an Advent wreath prayer using a prayer from the traditional Latin Mass. 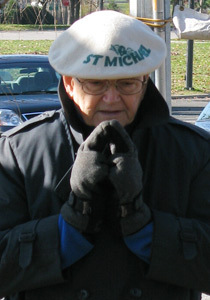 Michael also prayed the Creator Alme, the hymn for Vespers on the first Sunday in Advent. This hymn is normally chanted in Latin. However, for the devotees, we prayed it in English. 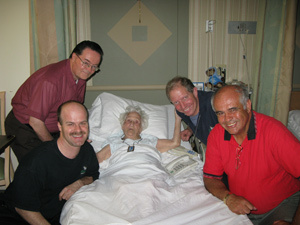 The LOSM visited with a long-time parishioner of our parish church. 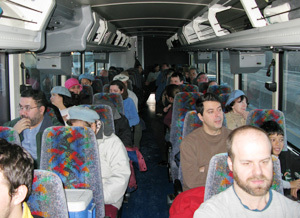 We arranged to have a priest devotee, Fr. 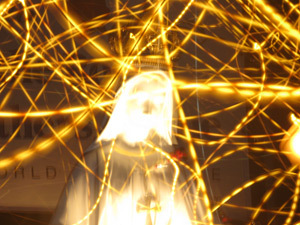 Scott, hear her confession and give her communion. During this Year of the Priest, we continue to offer the Sunday Holy Hours for all priests. Jack Frost nipping at your nose Emanuel Lazarcik of Pittsburgh, Pa. braving the bitter cold. 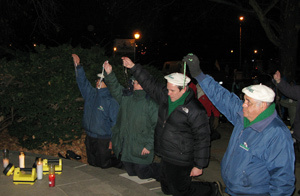 The temperature with wind chill was in the 20s F.
LOSM members (l. or r.) Darryl Bolisay, James Donohue (Vigil Coordinator and SMWA Vice President), Michael Mangan, and Peter Frank raising their Rosaries to Heaven invoking the powerful intercession of Jesus and Mary. 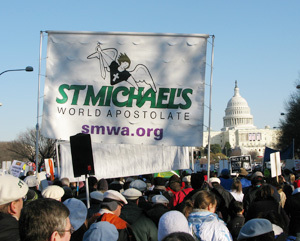 On Dec. 14, we visited SMWA Chaplain, Fr. 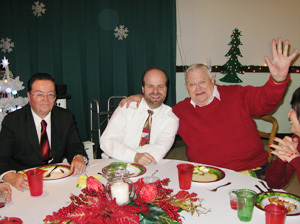 Robert Skurla (r.), for the Christmas party at the Queen of Peace Residence, operated by the Little Sisters of the Poor.